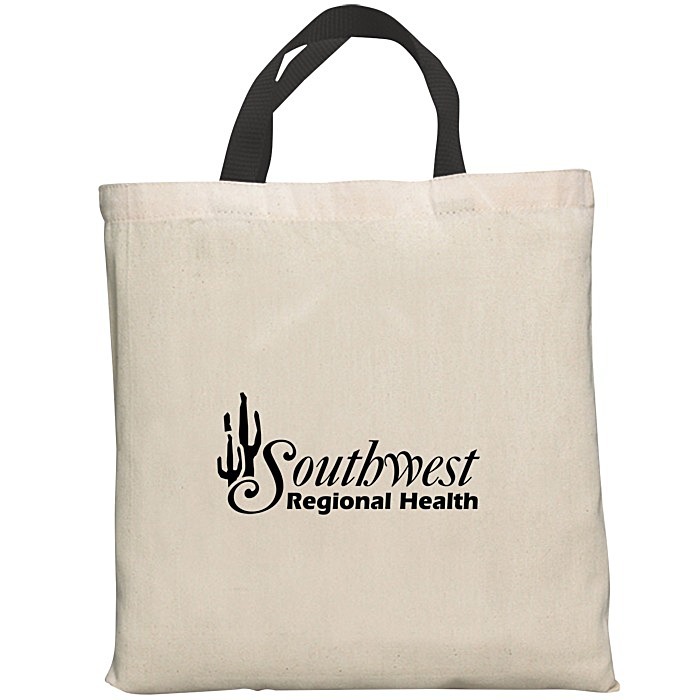 Use these slim tote bags for your next successful promotion! Natural 7-oz medium-weight canvas construction looks great and lasts for years! Classic design is ideal for hauling trade show loot or library books. Open top with colored 12-1/2" handles. 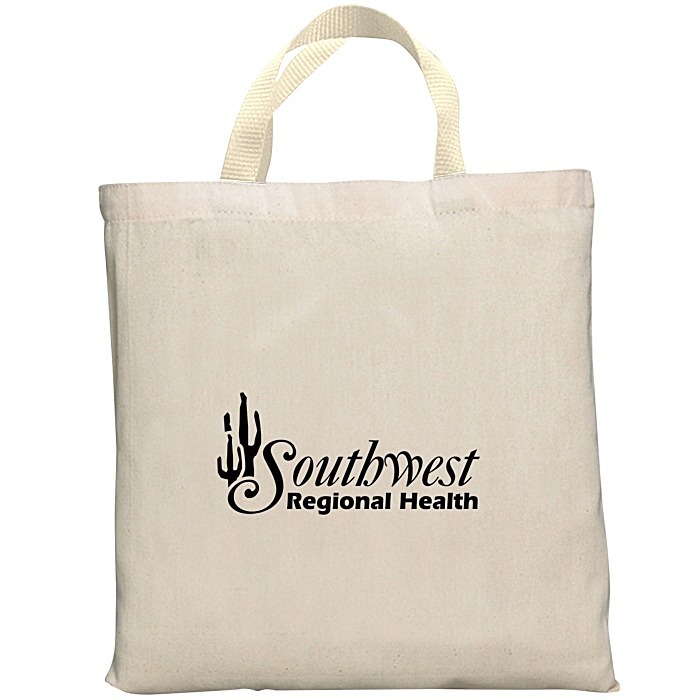 Your price includes a one-color imprint.